JEA Associates offers a bespoke service for your company’s communications needs. Campaigns executed on behalf of our clients adopt a proactive approach that incorporates both digital and traditional media outlets ensuring our clients’ message is properly understood by the investors and stakeholders they seek to reach. As digitalization and other disruptive technologies change the way traditional industries operate, market participants must understand the benefits Blockchain technology and other digital services can deliver to established businesses. JEA Associates has worked with a number of start-ups and established companies in the Financial Services and Telecoms sectors over the past few years, ensuring that the benefits of digitalization are effectively communicated. Only by working alongside our clients as an extension of their team can we properly understand their communication needs and how their story needs to be told in a creative and engaging way. Based in London, we can meet our clients anywhere in Europe at short notice on a 24/7 basis. Whatever the brief may be, comprehensive support will be provided to all clients to ensure aims are met to the highest standards. Project Detail :– Santiment is an online data service that provides the latest market information on altcoins. Its data is based on the collective investor sentiment of cryptocurrency traders that is then sold on to mainstream investors looking for impartial information on these volatile markets. Objective :– JEA Associates Ltd wanted to promote Santiment as an independent and reliable source of information to institutional investors looking to enter the cryptocurrency markets. Institutional investors would be deterred by the lack of transparency and liquidity associated with altcoins, Santiment is a data source that helps bridge that information gap. Strategy :– The team devised a timetable of press releases and potential stories to be released to the media in the three months ahead of its ICO in July 2017. Santiment’s previous successful predictions, and whitepapers were pitched to the media. Journalist interviews and meetings in European cities were arranged by JEA Associates Ltd ahead of the ICO. Result :– Santiment successfully raised 45,000 ETH ($11m) in two days from institutional and retail investors, Maksim Balashevich had appeared in Dukascopy TV and been quoted in a number of outlets including: Forbes, Institutional Asset Manager, Banking Technology, Huffington Post, International Business Times and Hedge Fund Journal. Project Detail :– Despite limited funds, the Nxt Foundation had built up a significant presence with the cryptocurrency and Blockchain community. Its unique Proof-of-Work architecture was widely respected within the Technology sector, in its bid to expand to the second generation Ardor platform it decided to launch the first ICO for the child chain Ignis. Objective :– Following almost two years working with the team at the Nxt Foundation, JEA Associates Ltd aimed to promote the benefits of the Ignis ICO to ensure the forthcoming Ardor platform would have sufficient resources to compete with its mainstream competitors. Strategy :– JEA Associates Ltd promoted the Ignis whitepaper to the mainstream and trade media. The lead developer of Nxt/Ardor technology, Lior Yaffe completed a number of interviews on the benefits of the Ardor Blockchain architecture, child chains and Proof-of-Work. Lior Yaffe also participated in a couple of Blockchain meetups in London and Berlin where he delivered presentations about Nxt/Ardor technology and its benefits for different potential users. Result :– The Ignis ICO formally closed in November 2017 and raised just under €20m over the course of three months. Extensive relationships were built with the media and the company has a solid financial foundation to develop its technology going forward in 2018. Project Detail :– Leading online payments platform Billon wanted to raise its profile as a provider of e-money payments over a distributed ledger. As a member of the FCA Sandbox programme, Billon wanted to differentiate itself from the increasingly crowded and unregulated cryptocurrency space. Objective :– The main objective was to promote Billon as a provider of e-money solutions over a distributed ledger. Instead of mining separate coins that are volatile and hard to use, Billon acts as a digital mint, transferring Pounds/Dollars/Euros over a distributed ledger between accounts. Strategy :– Over the course of 2016/2017, the team highlighted in the media Billon’s acceptance into the FCA Sandbox and registration as a successful e-money registration firm with the FCA. Successful fundraisings with investors and grants from the EU’s research and Innovation programme Horizon 2020 scheme were written up in the media. 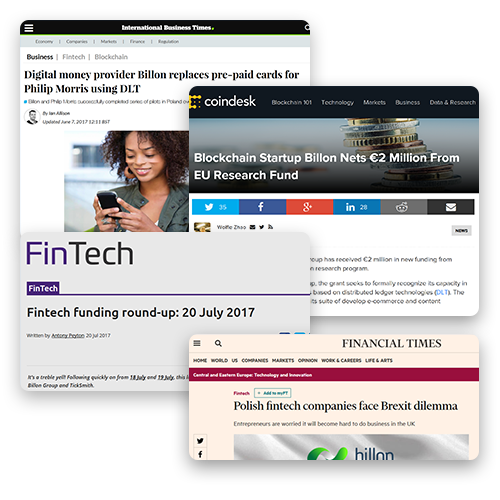 Billon’s award as a top 3 Polish start-up and acceptance into Fintech71 were reported in the media. Result :– Over the course of a year, the team developed extensive relationships with the UK and pan-European media, coverage was achieved in the Financial Times, International Business Times and trade media. Project Detail :– Adel is a Blockchain technology incubator that aims to provide financing and management expertise to promising start-ups that would have struggled to gain the attention from traditional sources of finance. Objective :– The company profile needed to raised, JEA Associates Ltd devised a campaign that ensured the company’s website launch, goals, research and ICO were reported extensively in the trade and mainstream print media, reaching as many potential investors as was possible. Strategy :– The official launch of Adel’s website provided an opportunity to introduce potential investors and portfolio companies to the team and their goals in December 2016. 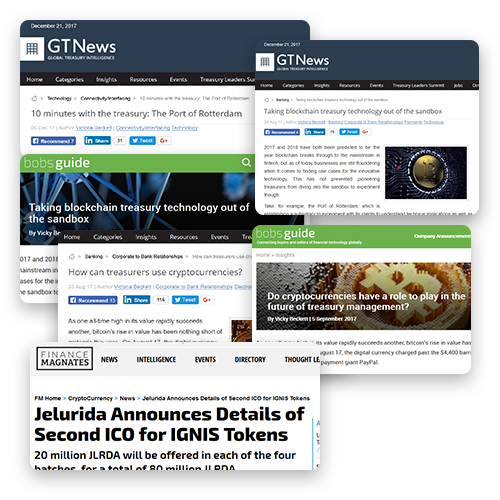 Over the course of the following six months, JEA Associates Ltd promoted Adel’s whitepapers and placed articles and interviews in the media. 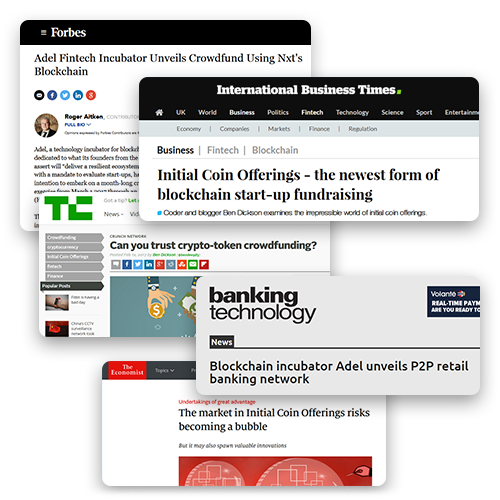 Result :– Adel gained considerable coverage in leading titles such as The Economist, Het Financieele Dagblad, Forbes, The Banker, Cointelegraph, TechCrunch, Euromoney and Bitcoin magazine, the ICO raised over €1m on the Nxt blockchain platform. Project Detail :– Nxt is a leading decentralized financial platform, it incorporates second generation Blockchain technology that can be used for transactions, storing data, fundraising and guaranteeing assets. Nxt had a number of clients across the world with assets on the platform, however it had no profile outside the crypto currency world. Objective :– Nxt needed to raise awareness of the benefits second generation Blockchain technology could bring to a wide variety of financial intermediaries. Operating on a proof of stake basis through a simple interface, Nxt offered a more effective, egalitarian and transparent means for people to engage with Blockchain technology and cryptocurrencies. Strategy :– Technologically, decentralized financial platforms operate in ways that are unfamiliar to most journalists and people within the Financial Services industry. 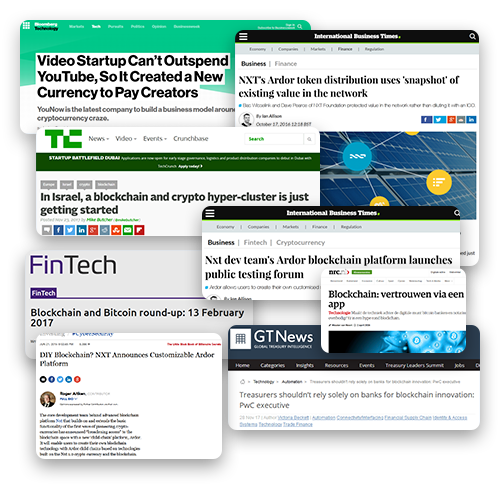 Nxt authored a number of by-lined articles in the Technology trade press that highlighted how second generation Blockchain technology differs from better known alternatives. As awareness of Nxt grew, articles began to appear in the mainstream print and broadcast media regarding the benefits Nxt offers people within the Financial Services sector. 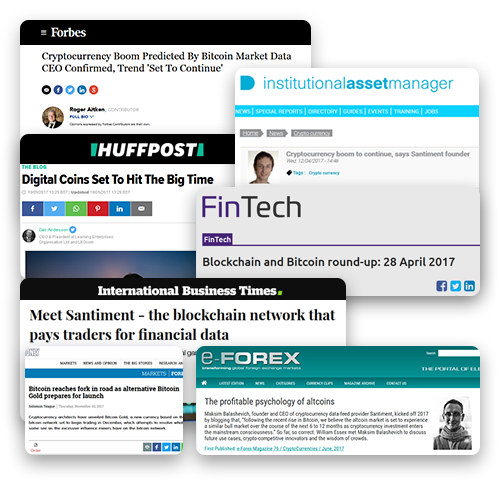 Result :– Nxt saw a large number of articles and broadcast interviews appear raising the platform’s profile within the trade and mainstream media. The platform went on to see its market capitalization increase 446.5%, the trading volume increase 10,163.4% and outperform all major digital exchanges for secure trades completed. 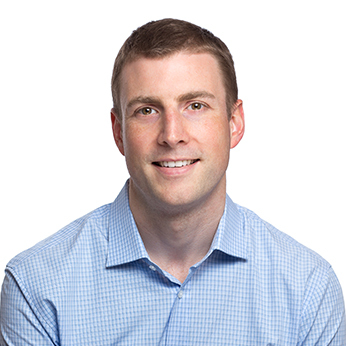 Following a 10 year career working in Financial and Corporate PR for a number of leading blue-chip clients, John McLeod has set up JEA Associates Ltd, an agency that understands how digitalization is transforming the way in which traditional industries operate. With a significant background in Financial Services, John initially focused on how Blockchain technology could transform the way retail banking and transactions were carried out. Since its inception, JEA Associates Ltd continuously communicated how innovation and digital services change the way traditional industries operate in the campaigns it has executed. communications campaigns to target your audience. Copyright © 2017 JEA Associates. Ltd.